It’s a new year and a time for new beginnings. We started this blog this year as a creative outlet to highlight our events, which have ranged from elegant celebrations to whimsical children’s birthdays. You don’t need a lot of time to plan a memorable event. The key to a successful party is the details, whether that’s the menu, decorations, music and/or dress code. We rang in the New Year with a Black and White party that we put together rather quickly. We found cute black and white plates and napkins. 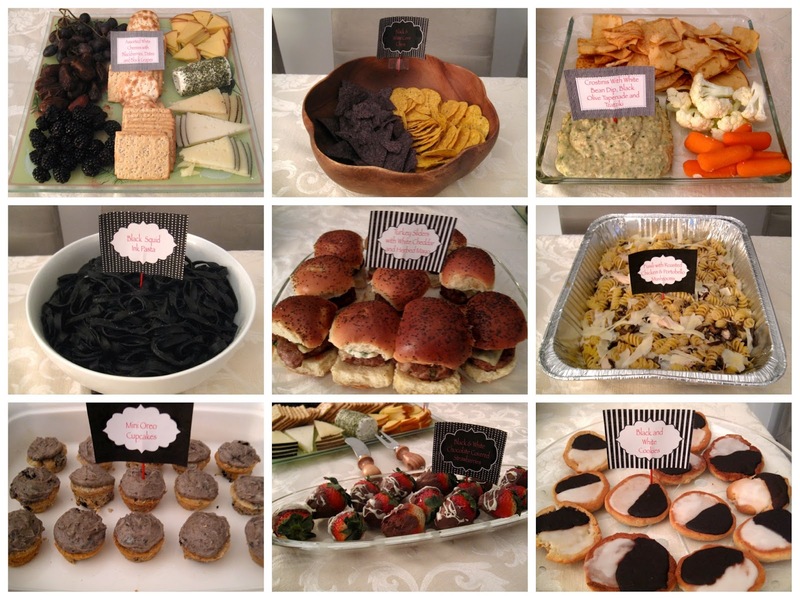 We focused on black and white appetizers, entrees and desserts. The squid ink pasta was particularly memorable as many guests never tried it before and it looked simply beautiful. We even found black beer. We served pomegranate martinis, in addition to red and white wine. Guests dressed in black and white attire. 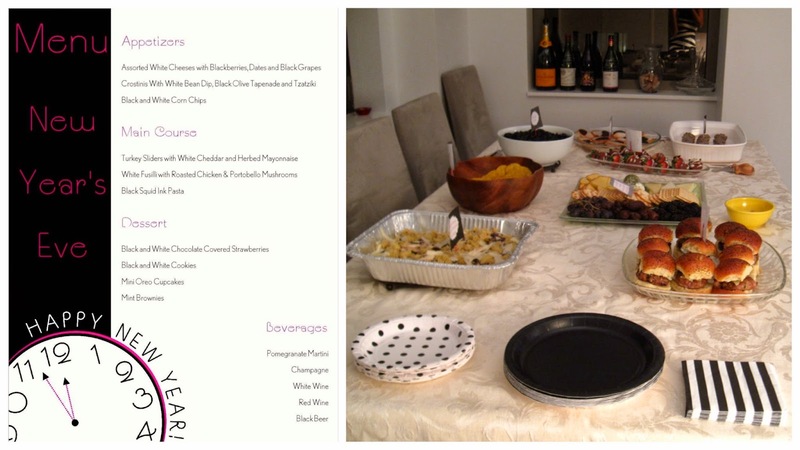 We used Must Have Menus to create our adorable Black and White menu. If you want to make desserts yourself, we highly recommend getting a cake/cupcake decorating kit. We used Wilton’s decorating kit to make the oreo cupcakes and the black and white cookies. What an amazing way to ring in the new year- cheers!